POLYPIPE Manufacturer's Product Code: SD34G. 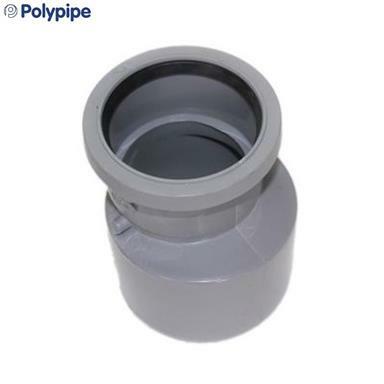 POLYPIPE Ring Seal (Push-Fit) Soil & Vent Fitting - Ø110mm (4'') x Ø82mm (3'') Soil Pipe Reducer; Grey. - Polypipe Soil & Vent: Ring Seal Soil & Vent reducer used for reducing Ø110mm soil pipe to Ø82mm soil pipe. 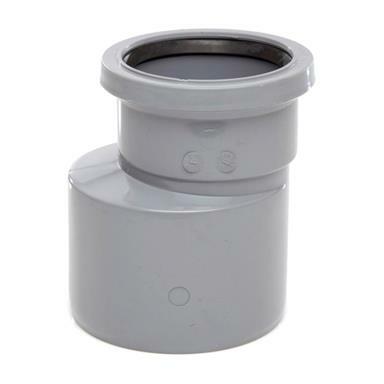 - Connections: Spigot (fits into another socketed pipe, fitting or connector) x Ring Seal (push-fit) Socket. - Outer dimensions: Ø110mm (4'') x Ø82mm (3'').